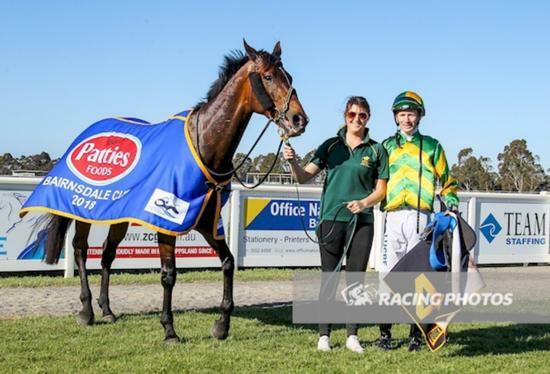 Second up specialist Our Bottino was able to add a third country cup to his collection by taking out the 1600m Bairnsdale Cup, making the almost 6 hour trip a viable one for connections. Jumping well from the gates and taking up his customary front running role, jockey Damien Thornton noted he didn’t have to do as much work early as he anticipated and was able to settle in front without anything taking him on for the lead. He was then able to get away from them on the turn and straightened two lengths clear and just kept on going to the line. Congratulations to all of his connections, this win brings up the 10th victory for Bruce and takes his career earnings to almost $340K. Such an honest horse who seems to be in for another successful preparation.